Whether you call it derma-rolling or micro-needling, the practice is to skincare as coffee is to a weekday: It may not be necessary for survival, but it sure helps. (Just ask Byrdie's news editor, Victoria Hoff, who swears by the power of this spiky skincare tool—it banished her dark circles and under-eye bags, two skincare woes that are pesky at best and daunting at worst). The practice involves gently rolling the head of the derma-roller, which is covered in tiny spikes, over the surface of the skin. Doing so causes tiny and painless micro-injuries, which your skin responds to by bumping up collagen production. The science is there, but I had to see it for myself, which is why I purchased a derma-roller. Amazingly, a single use resulted in smoother and more even under-eyes. My dark circles weren't nearly as distinct as the day before. 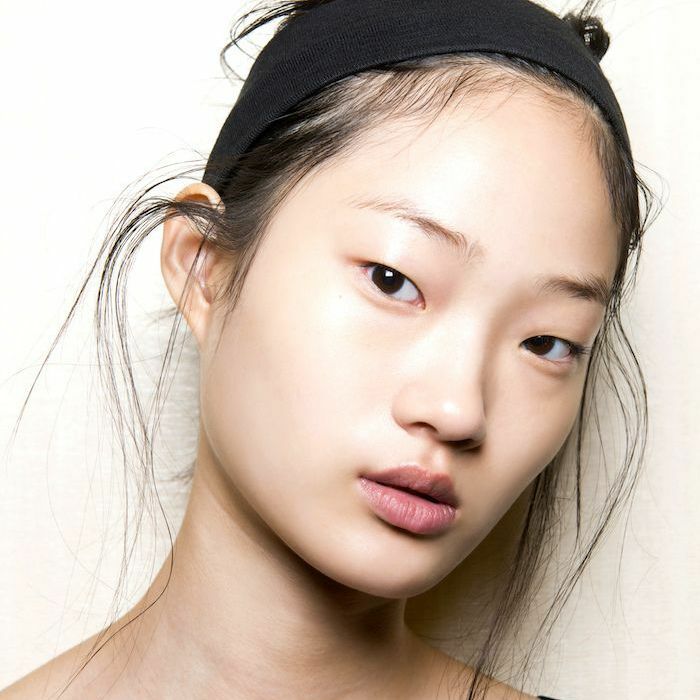 But it didn't stop there—it also targeted dark spots, acne scars, and tired skin. Needless to say, I'm now a loyal devotee. Here's the thing, though. It's recommended that you use a serum (or some similar "priming" product) with a derma-roller. It acts as a buffer between the needles and your skin, and even increases the absorption. But what serum should you choose? 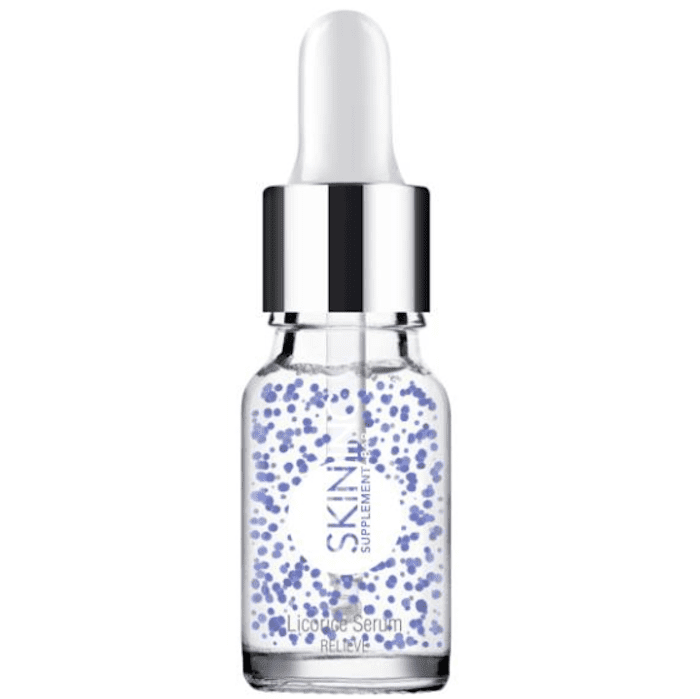 Whether your issue is general aging, hyperpigmentation, dryness, or dullness, there's a serum out there to fix it. When used with the right serum, derma-rolling can cure your dry, flaky skin, since the micro-needles push hydration deep into the subsurface layers of the dermis. A hyaluronic acid–based serum is always a solid option since it holds up to 1000 times its own weight in water and can hydrate and plump the skin from the inside-out. Seriously, the benefits of hyaluronic acid are vast and varied, which is why it remains to be so popular. (Pro tip: If dry lips follow you around like a shadow, spread a thin layer around your lips, and you can derma-roll there too. The process works wonders to hydrate, allowing you to finally leave that chapstick at home. Plus, it enlarges your pout like crazy. It's one of my favorite tricks). 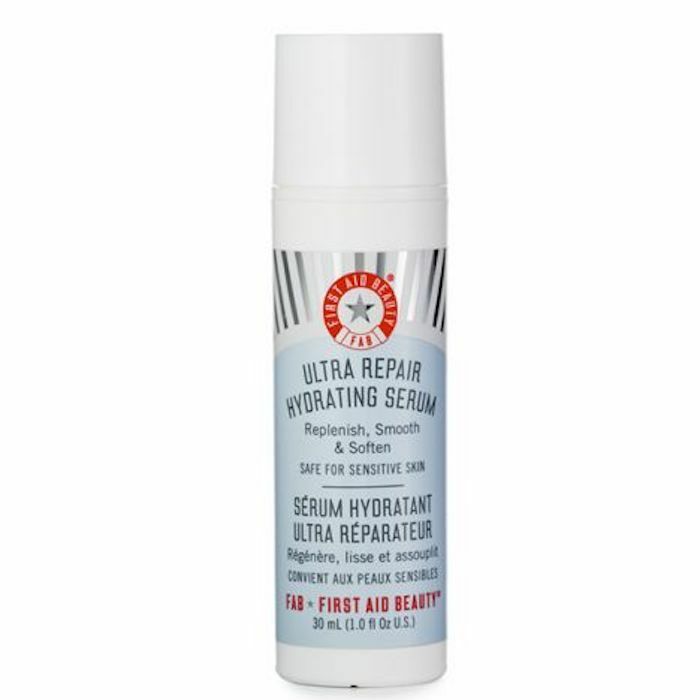 Or there's this water-based serum from First Aid Beauty, which is a favorite of Byrdie's social media editor Aimee Jefferson. It has hyaluronic acid to hydrate, peptides to plump lines and wrinkles, and an extra boost of collagen, too. There are even aloe and colloidal oatmeal to calm and soothe the skin, which can help cut down on post-treatment irritation. Although retinol and vitamin C serums are super-effective and expert-favored ingredients, most will recommend staying away from them when it comes to derma-rolling. This is because they're considered "reactive ingredients" and can prove too harsh when paired with needles. 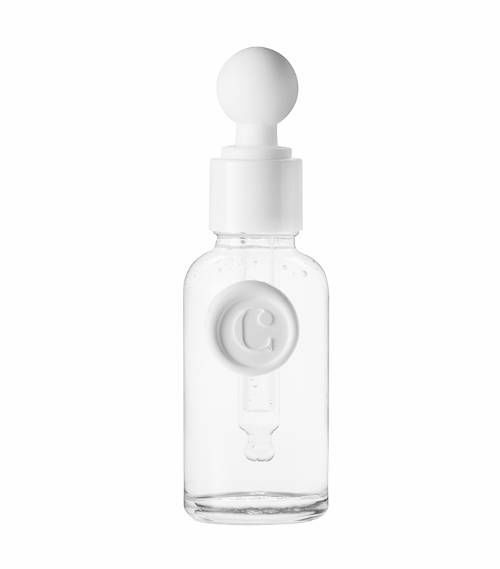 So if you deal with already sensitive and irritated skin, then stay away and opt for another, gentler serum. Your skin will thank you. With that being said, if you struggle with dark spots and hyperpigmentation and you're dead set on using a vitamin C serum, do your research first. Avoid those that are formulated with harsh ingredients. Also be sure to patch-test first, as you can never be too careful when it comes to the health of your skin. If there are any we would use, it's this one from renowned esthetician Melanie Simon. It's a highly stabilized form of vitamin C that doesn't degrade due to light or air. She uses it in combination with a derma-roller when treating her clients, which is why we think it might be the best bet when it comes to pairing vitamin C with your derma-roller. Your skin responds to the micro-injuries caused by derma-rolling by producing more elastin and collagen. That means crepey skin is plumped up and fine lines and wrinkles are improved. In other words, just practicing a derma-rolling routine will improve your wrinkles in the first place. But that doesn't mean that you can't bolster that routine with an anti-aging serum. (Again, just be sure to choose one that doesn't have retinol—which is considered reactive). 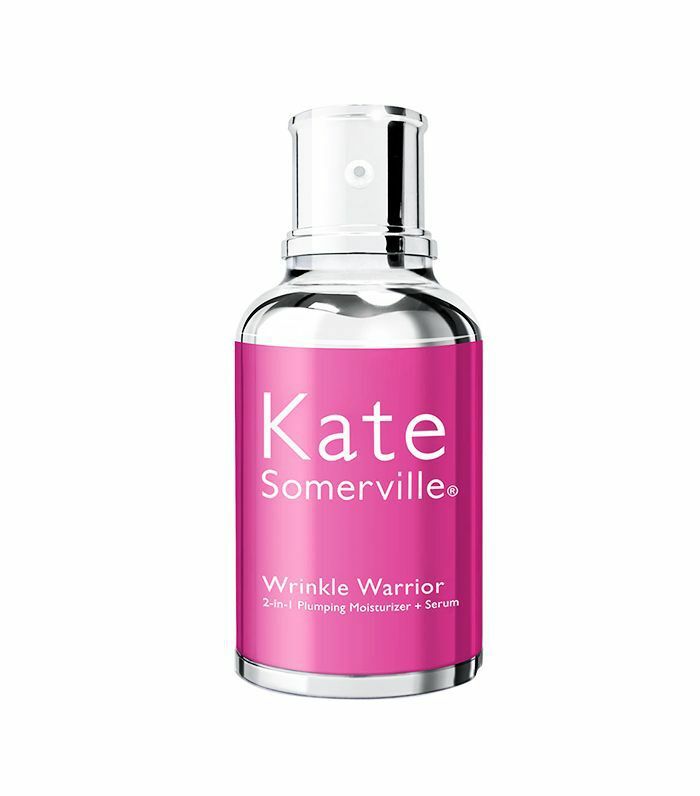 Like the Stacked Skincare serum above, this Kate Somerville pick is formulated with high levels of hyaluronic acid, filling up wrinkles and making saggy skin appear youthful and bouncy. It even promises to improve firmness and elasticity. 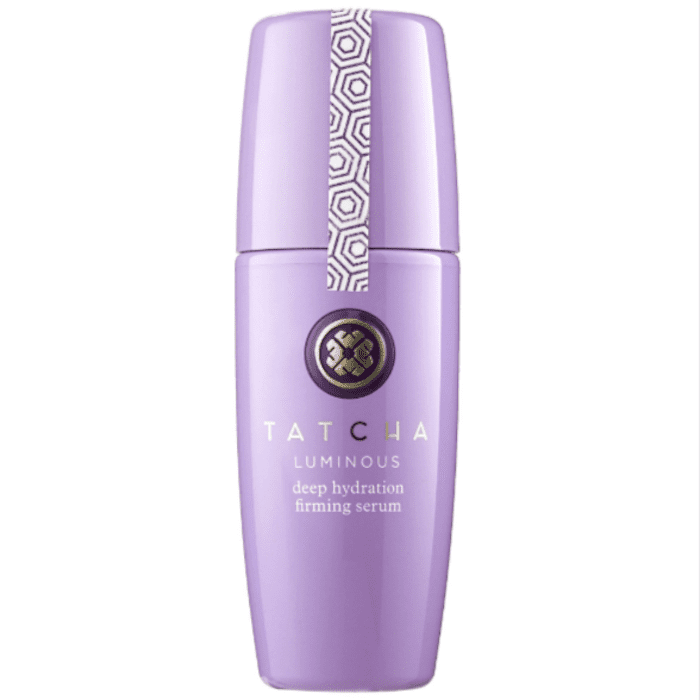 Another favorite of Aimee's, Tatcha's Luminous Deep Hydration Firming Serum targets dull, dry, and sagging skin. It has red algae and hyaluronic acid, along with royal jelly and (get this) actual 23-karat gold to add an instant look of radiance and warmth to the skin. Since I have a slight form of rosacea, derma-rolling isn't exactly calming to my sensitive skin, which is why I don't do it very often—usually once every month. For me, that's enough to reap the skin-boosting benefits without going overboard and causing even more redness and irritation. Korean skincare brand Dr. Jart makes a redness-reducing serum that I love for all derma-rolling purposes. 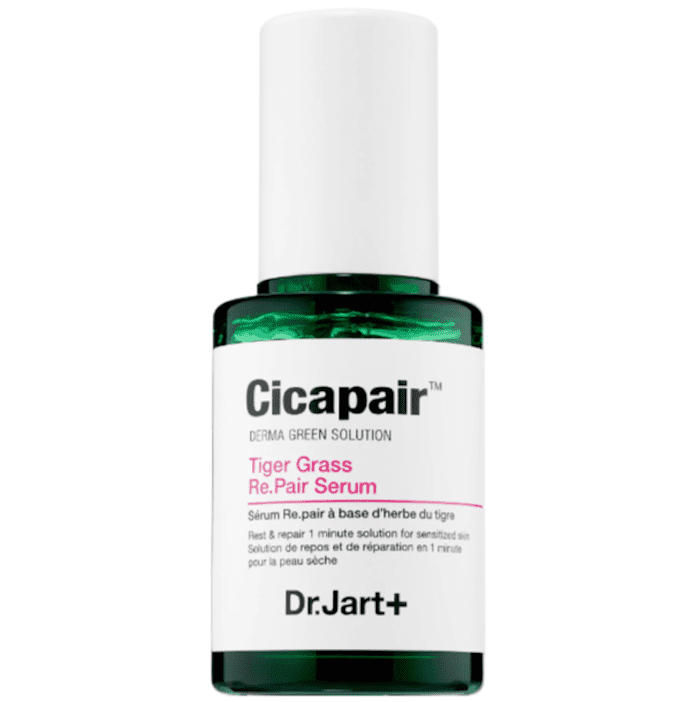 It's called Cicapair, and it's formulated with an Asian herbal plant that soothes redness and irritation and speeds up skin recovery. This Skin Inc. product is formulated with licorice root, which is an ingredient known to calm skin and soothe redness. There's also antioxidant-rich green tea and Japanese seaweed for lasting hydration. It's one of the most calming serums I've ever used for derma-rolling. The coolest thing is that you can choose to use it alone or combine it with other Skin Inc. serums to target multiple concerns at once. Say it with me: Never derma-roll over inflamed skin or acne. Doing so will only make things worse, interrupting your skin's natural healing process. That being said, if oiliness and blemishes are a concern for you, but you still want in on the micro-needling action, reach for this serum. Gently roll it onto the parts of your skin that are calm and blemish-free. (Blemish-prone skin is fine; broken-out skin is not.) 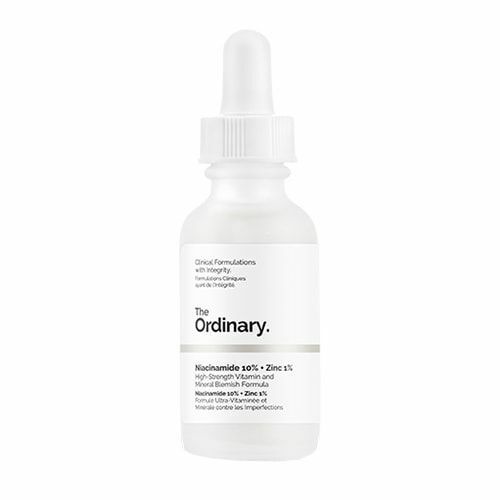 This budget-friendly pick from The Ordinary balances sebum production in the skin, helping to control inflammation and oiliness. To clarify, you can still use the serum on breakouts, just not the derma-roller. 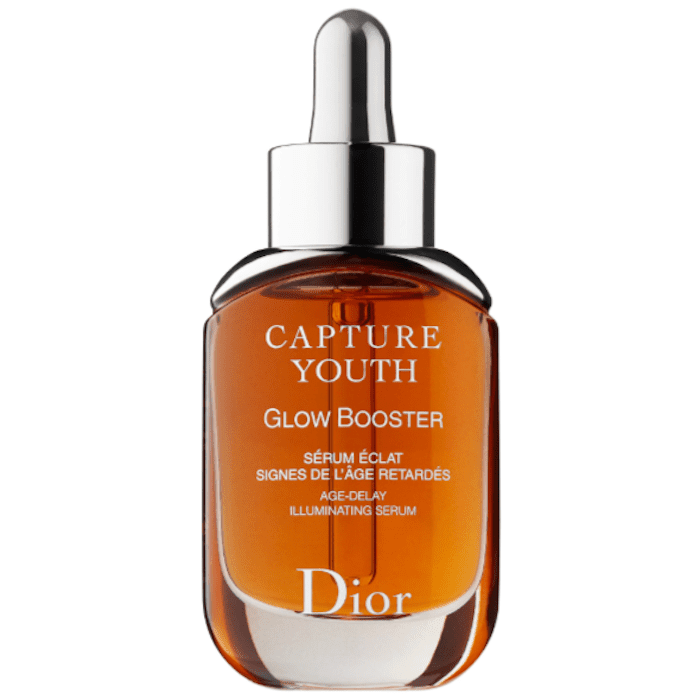 One serum that I personally have found to be most effective when paired with my trusty derma-roller is this glow-boosting one from Dior. It does have vitamin C in it and a little alpha hydroxy acid, too, so patch-testing is paramount if you're going to try this out. For me, it illuminated my complexion and brought radiance back to it, without any irritation. With that being said, AHAs and vitamin C and prove too harsh for some people, so it might not work the same way for everyone—especially when a derma-rolling practice is involved. 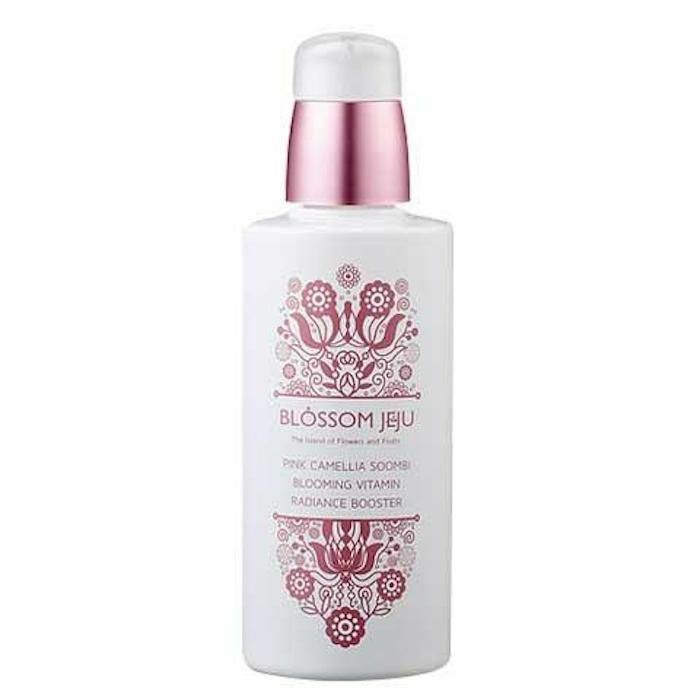 This K-beauty serum has camellia flower extract, broccoli extract, and beetroot extract to brighten the complexion. It's also incredibly antioxidant-rich, which makes it a good option for people looking to fight free radicals and the subsequent signs of aging that result from them. It's essentially a superfood smoothie but for your face. 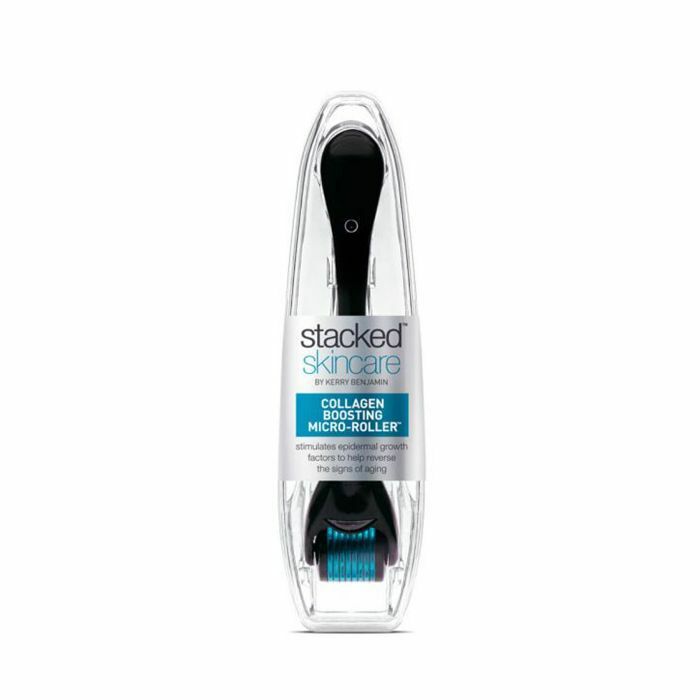 As for the actual derma-rolling tool itself, we like this one from Stacked Skincare. The rolling head is thin and maneuverable to reach smaller spots on the face, like between the eyebrows, the under-eye area, and the upper lip. More importantly than that, though, it has needles that are fine and thin—not overly damaging to the skin. 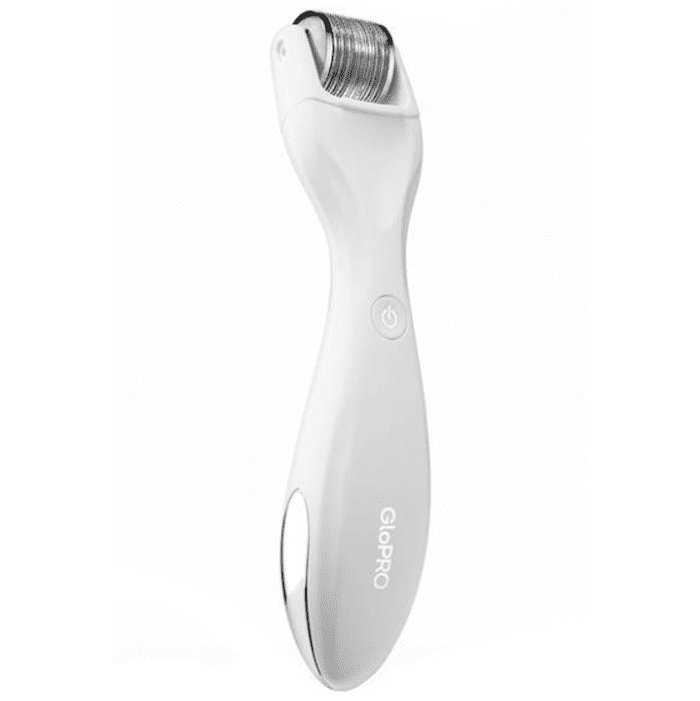 My current favorite derma-rolling tool is this one from Ora. It's easy to use and effective. Most importantly, though, at only $20, it doesn't make me or my wallet cry when it comes time to repurchase. This micro-needling tool is expensive, but according to customer (and editor) reviews, it's worth it. 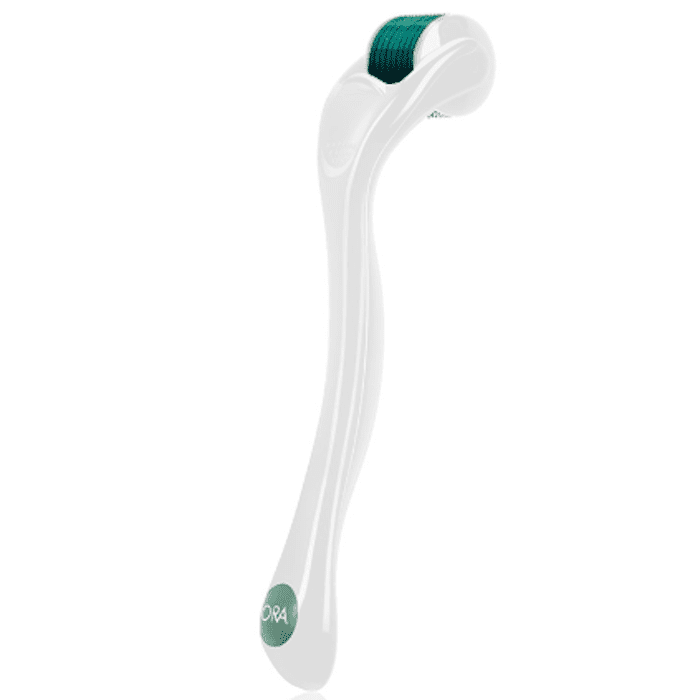 It offers all the same amazing skin benefits of a normal derma-roller, except it also includes LED light therapy and vibration stimulation to increase cell turnover and skin regeneration. Customer reviews go a little something like this: "This tool does not disappoint. The needles are painless, the tool is super easy to operate and the end result makes my skin feel healthy… even after just the first use. I was finished in about a minute and it was a nice, relaxing step in my beauty routine before winding down for bed. Can't believe it took me this long to own a product like this!" Next up: If your main concern is acne scars, read these microneedling tips first.